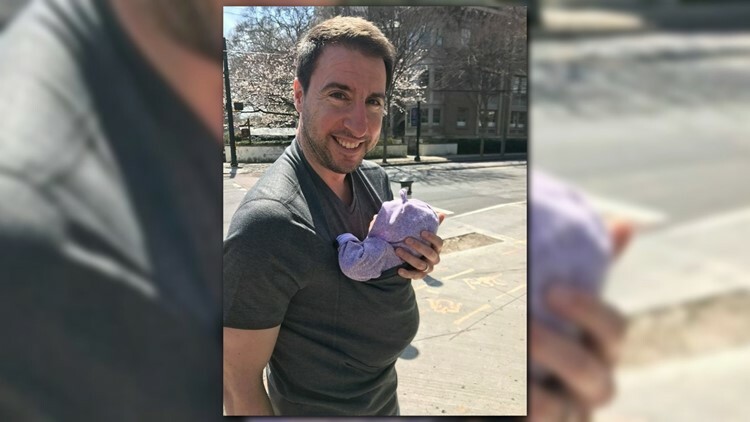 The "Soothe Shirt" and "Dad Shirt" have taken Instagram by storm, turning a small Atlanta business called Lalabu into a company with just under $1 million in sales last year. 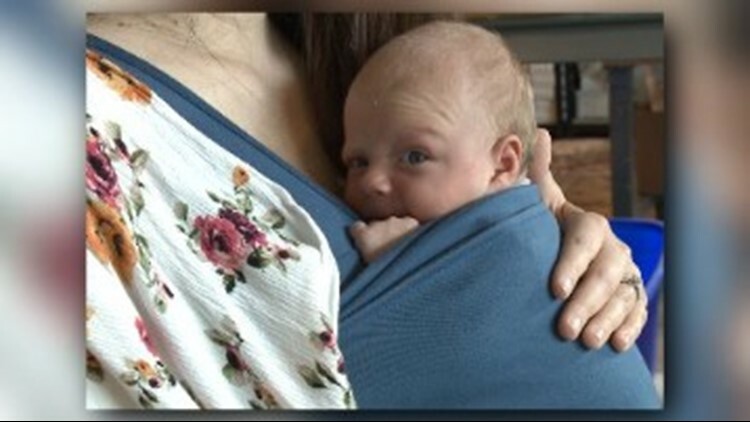 Andrea Bowers has no trouble tucking her 5-week-old baby boy into her tank top, made by an Atlanta company called Lalabu. Lalabu's "Soothe Shirt" is designed with a pocket in front to hold babies kangaroo-style, while keeping mom's hands free. The &quot;Soothe Shirt&quot; and &quot;Dad Shirt&quot;&nbsp;have&nbsp;taken Instagram by storm, turning&nbsp;a small Atlanta&nbsp;business called Lalabu into a company with just under $1 million in sales last year. "It's great if he's fussy, or we need to be out and about," Andrea told 11Alive's Jennifer Leslie. "My favorite thing is grocery shopping. I can put him in and shop around easily." The Soothe Shirt has taken Instagram by storm, turning a small, home-based business into a company with just under $1 million in sales last year. "We wanted to make baby-wearing accessible to everyone," said Brian Fosse, who started Lalabu with his wife Keri after they discovered the benefits of baby-wearing on a trip to Africa. "Baby-wearing is an age-old practice. It's been done around the world. It's a simple way for parents to have their children up next to them," Brian explained. "They're hearing you talk, they're feeling your body move around. You help them learn how to talk and develop better." The couple set out to create something different from the wraps and carriers already on the market. After their tank took off in 2013, the couple came up the "Dad Shirt" in 2016. "You just pick them up, there's this pouch here, you put them in the pouch and just slide them down," Brian demonstrated using a baby doll. "There are very few products specifically for dads, and this is a product that allows dads to have something they can do with their baby." 11Alive&#39;s Matt Pearl discovered Lalabu&#39;s &quot;Dad Shirt&quot; after the birth of his baby girl. Lalabu has a new Grant Park office and a growing staff, with plans to add more products that make it possible to baby-wear even after baby's too big for a pouch. For a limited time, you can use the code "11Alive" to save 20% at Lalabu.com. The Soothe Shirt, which costs $75, includes a built-in nursing bra, inner mesh panel for breathability and adjustable head-support panel. It's designed for newborns until they reach about 15 pounds. The Dad Shirt, which also costs $75, has the same mesh and head panel, plus a support band across the back and upper body. Lalabu's products are made in California with a custom-milled fabric that stretches horizontally but not vertically.